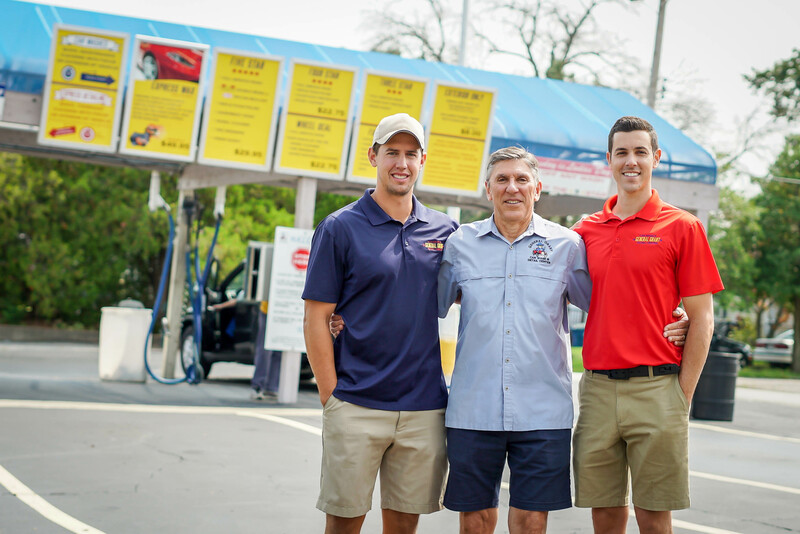 General Grant Car Wash has been family owned and operated at our Watson Road location since 1970. Throughout the years, our focus has always been on providing the best possible service and products for you, our customer. Our regulars know that with rare exception, the Owner and General Manager are routinely in our wash line supervising the crew to make sure every customer and car gets special attention. As a Full Service car wash we take care of your vehicle from start to finish! No messing with hoses and cords at home or even the stress driving through an automatic tunnel yourself. Our safe, soft-cloth wash tunnel is impeccably maintained because we do it ourselves, making sure every piece of equipment is running at peak efficiency every time you visit. You can expect us to pay attention to little details, like vacuuming your vehicle’s interior, hand washing your windows inside and out, and hand drying every vehicle that comes through our wash tunnel. Even our basic wash includes bug prep, spray-on tire cleaner, & Spot Free Rinse – features that are considered “premium” or “luxury” at other washes. In our Detail Center, we test every product we use because we know that if we’re not totally happy with it, you won’t be either. Our detail technicians are trained to use safe and effective products and methods to achieve optimum results on every car. What would a detail be without a second pair of eyes? Expect a manager or supervisor to inspect each vehicle before delivery and a technician to go over it with you before you leave our site. It is our commitment to bring you all the little extras and that’s what it takes to give our valued customers a truly satisfying experience every single visit. We hope you’ll come by and see for yourself why we understand our customers better than the competition. See you at the car wash & detail center soon! P.S. – Join our General’s Club rewards program for free to get special values and extras as our sincere thanks for being our loyal customer.